The first few months have been great I am thoroughly enjoying my role as team leader. After a well – deserved Christmas break the staff team came back on 5th January refreshed and full of ideas. The staff training went really well and we came up with some new ideas for planning and recording sessions and a new rota for junior club to enable it to be more structured. The benefits of having this in place are showing already as this first week back has been the most enjoyable for a while. We have recently recruited ex member Kenny O’Connell for one session per week to try and get the music rooms back to their full potential. Jade has joined Julie on the bank staff as she is no longer able to commit to a set session/s. Sharon is currently working towards her NVQ level 3 in youth work studies, something I feel all staff should be aiming towards. Volunteers: Thomas Butler 2 sessions per week. Lisa Dumbell currently committed to 1 after school session per week. The décor in the club is looking much tidier, again I’d like to thank the probation service for providing free labour and doing a great job, the sportshall is next to be painted. ASDA have agreed to fund the roofing repairs to the cost of £20,000. This is half the funds we applied for, but will enable the critical areas to be repaired in the Spring. Mersey roofing are signed up to deliver the work. We have finally commissioned the work for improving our IT and AV systems. This will see the infrastructure updated with improvement on speed and reliability, tablets and laptops for staff use and an AV system that will enable us to run streams of video, photo and text information on at least 2 TV screens. It is hoped that members can treat this as a journalism option and create their own material and research and upload quality and relevant educational and engaging material that it is useful and fun. The work should be complete by mid – February and is funded by a grant. Junior club is going very well at present we average around 25-40 young people per night from 7 different schools, although our main intake is children who come on the walking bus from Faith primary. A couple of recent junior club highlights include the Nativity play in St. Peters church and the junior club Christmas party. Big thank you to all at All saints parish in Southport for their continued support and kind donations of presents for the grotto. 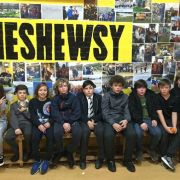 We have a junior club trip to Shrewsbury school to look forward to in April and as you can imagine the children are really looking forward to this. Over the festive period I received an invitation from Liverpool football club to bring some of our junior members to the FA Cup game vs Everton and the 7 young people who attended were given the whole VIP treatment with a personal chef at their disposal. A fantastic experience and a memorable day for all, besides the result !! Senior club numbers are very good: we have over 100 registered members and are averaging 30+ young people per night. We are still managing to attract young people from all over the city in addition to our core of local members. 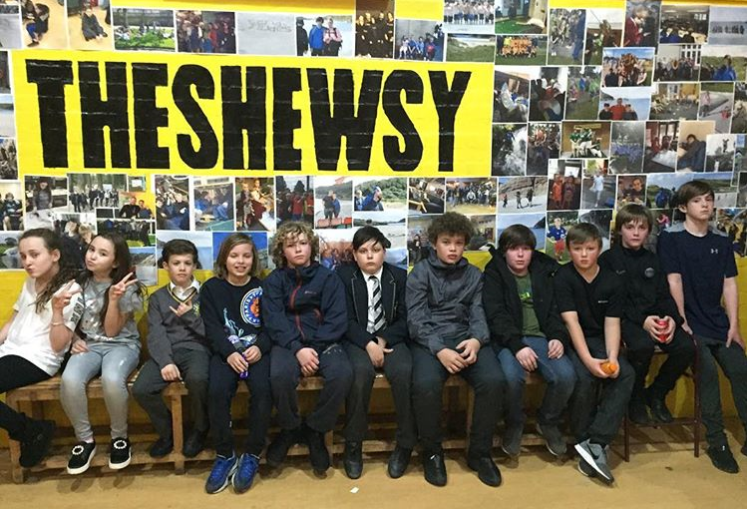 The Inbetweenagers club has been a success with 25 new members since November; it will be this group who will be working towards the next causeway exchange programme in April. Members seem really very excited about their own idea of a Sponsored social media silence. We are actively planning towards a weekend away to deliver this and hopefully record the results. I will be attending a conference in Kakkola Finland from 8-10 February to confirm our membership to the European Network of Youth Clubs, where I will be doing a presentation on our work at the Shewsy. We continue to build on our relationship with “Talk about Youth” project in Dublin and Saltney youth council in Wales and will be taking part in a tri lateral youth exchange programme in April, June and October. Ryan Fitzpatrick has agreed to take part in this years’ Medic Malawi expedition along with 3 senior girls.